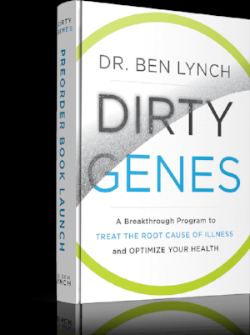 Dr. Ben Lynch is well-known for his study on MTHFR gene variations and is the author of the book "Dirty Genes". He is also the President of www.SeekingHealth.com, a supplement company oriented towards disease prevention and health promotion. In this episode, we learn more about genes, Dr. Lynch's work, and detoxification. Min 01:45 Introducing Dr. Lynch & his book "Dirty Genes"
Min 04:05 What are genes & DNA?